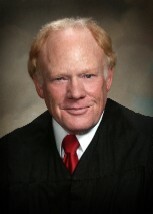 Justice Alton Thomas Davis was appointed to the Michigan Supreme Court by Gov. Jennifer Granholm (D) in 2010 to fill a vacant term which expired Jan 1, 2011. He ran but did not win election to the Court in November 2010. Justice Davis attended college at North Central Michigan College and Western Michigan University. He attended law school at the Detroit College of Law, which is now Michigan State University College of Law. He practiced law in a private practice and served as the Prosecuting Attorney for Crawford County prior to being elected to the 46th Circuit Court, where he served as Chief Judge. He served as a visiting judge on the Michigan Court of Appeals from 1985-1996. He was appointed to the Michigan Court of Appeals by Gov. Granholm in 2005, elected in 2006 and re-elected in 2008.